The definition of fiesta includes a celebration, a banquet and a ceremony. It all happened on Friday night at the St. Francis Of Assisi Hall in Grove City. The Fiesta Association of Rotonda West held their Inaugural Ball. Music was provided by Don Carlesimo and the scrumptious food was prepared by the St. Francis of Assis Women's Guild. The Fiesta Association's main objective is to meet and become acquainted with neighbors and to participate in fun activities. The Inaugural Ball signals the beginning of fun filled dinner dances, wine and cheese parties, a playhouse night, picnics, and a golf tournament. The Fiesta Association have 523 members, and all Rotonda homeowners are encouraged to join. For more information, call the Thibault's at 697-3642. Doris and Andy Kelly, enjoying the ball. 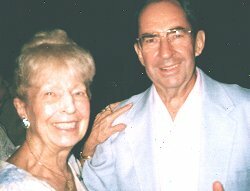 Betty and Barle Temple with Mary Ann and Angelo Valente. Looking at their list and checking it twice; Edna Thibault, Pat Guillerm and Pauline Cardi. 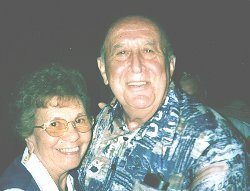 Molley and Frank Ponarico. They must have had dance lessons. Bull Durham, Don McCarthy, Jerry Price and John Meadows. 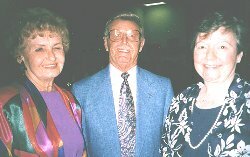 Three of the 19 new members: Peg and Hugh Sacksteder with Marlene Bolduc. Their duties are done! Outgoing board members: Past Alcalde, Earle Simpson; George Thibault; Ruth Sissea; Bill Simpson and Pat McCarthy. Their duties have just started! Incoming board members: George Thibault (2nd time around), BJ Simpson, Frank Pomarico, Jan Scimeca, Pat Violette, Tom Jamison, Peg Giannino an Tom Caldwell.